In this quilt, the inner heart is pieced with blue centered blocks, in the instructions it’s pieced with red. 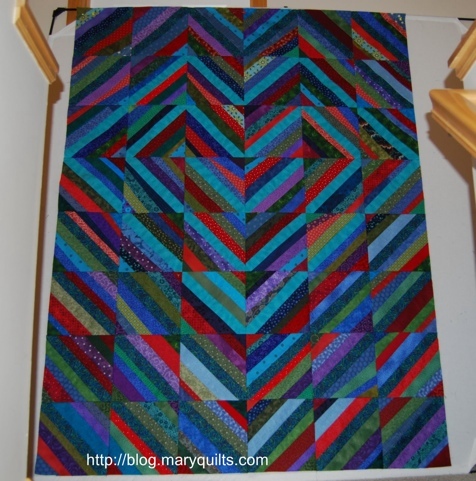 You can make the quilt either way, just adjust the number of red or blue centered blocks you make as needed. 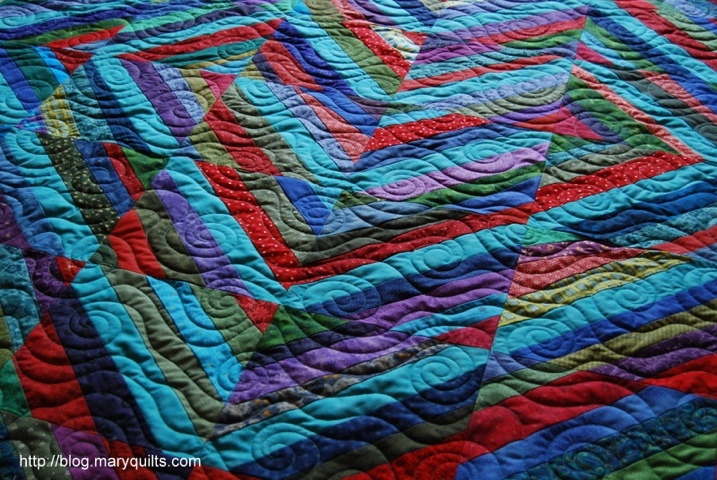 Thank you so much for posting the instructions for this quilt layout. My quilt guild made Quilts of Valor for our soldiers and I am getting them ready to apply for a shipping destination. I was looking for a pattern for my nephew, a US Marine. He is in Afghanistan at this time and previously had done a tour in Iraq. Your “HeartStrings Logo” quilt spoke to my heart, and I cannot wait to make it for him. May God bless y’all and keep up the wonderful work. Semper Fi. You have inspired me by your art & your productivity. Thank you so much. You have inspired me by your art & your level of productivity. 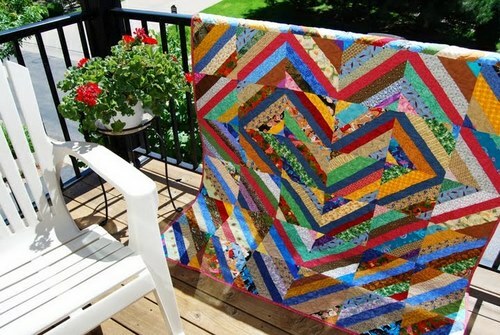 Hi Mary, I have been admiring the heartstring logo quilt for quite a while and finally made one with lots of scraps. Just wanted to say thank you for the pattern. I made it a little smaller for a child donation. I will send you a pick of the top, I have not quilted it yet but will when I get back from vacation.